The main reason I rented this film was that the credits were so absolutely mouthwatering. A cast that included Sunil Dutt, Madhubala, Minoo Mumtaz, Madan Puri and Nishi Kohli. Music by S D Burman. Shakti Samanta as director. A winner, I’d have thought. Alas, no. While it’s not a dud, Insaan Jaag Utha isn’t more than the sum of its otherwise stellar parts. The story is a mishmash of tropes. It doesn’t seem to know where it’s going, the plot has a lot of holes, and it’s not really too interesting. 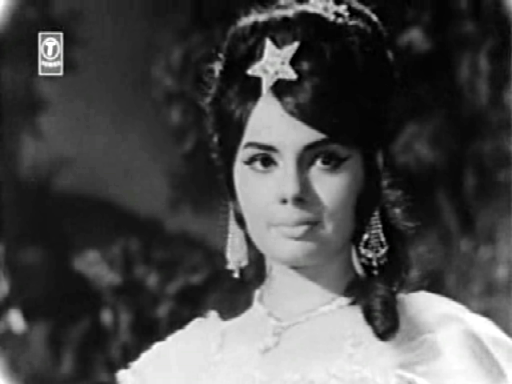 Mumtaz, as I mentioned in my last post, was one of the best things that happened to Mere Sanam. She may not have had much screen time in the film, but she certainly left her mark – more than she’d been doing in the B-grade films she’d mostly appeared in till then. Rustom-e-Hind, made in the same year as Mere Sanam, is an example of that type of film. 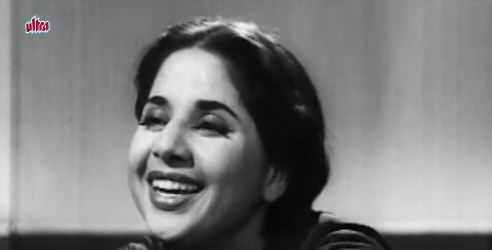 It’s basically a Dara Singh showcase – so there’s lots of showing off of wrestling – but Mumtaz gets to smile prettily and flutter her eyelashes, if nothing else. This was what I call a ‘shot in the dark’ film—I noticed it on Induna and decided I’d give it a try, even though I hadn’t heard of it before. The decision was arbitrary, and mainly because the picture of the DVD cover appealed to me. I should probably have had a look at the plot summary on imdb but I didn’t, and ended up with a film that I actually rather liked, even apart from the fact that the lead pair looked yum. I am occasionally inclined to see a film simply because I adore one particular song of the film. Unfortunately, I score more hits than misses using this criterion. Saranga (1960) is a case in point—it has the classic Saranga teri yaad mein nain hue bechain (one of the few hit songs of Anu Malik’s father, Sardar Malik), but not much else. With Usne Kaha Tha, I had better luck. 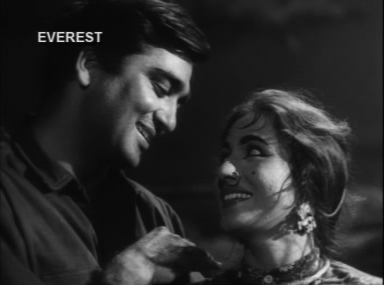 The lovely Aha rimjhim ke yeh pyaare-pyaare geet liye is a wonderful song, and the film itself is an interesting one. A very frank admission: I am not intellectual. I cannot summon up the brainpower to analyse a film and go deep into the philosophy of it—which is why arty films are completely lost on me. I never, after seeing a film, question it, delve into its profundities, or explore the hidden meaning of so and so scene. I am therefore proud to announce that I have finally seen a film that has gone a long way in remedying this lamentable situation. Ek Phool Do Maali made me sit up and think. It made me ask a lot of questions. And it made me vow never to assume that just because a film had a cast I generally liked, meant that the film would be good too.